← Laptop problem — any ideas? SAR21 bullpup rifle with integral laser (Singapore). Built-in 2x scope. Very nice ergonomics, including ambidextrous charging handle. Semi/auto switch is a cross-bolt in the stock. 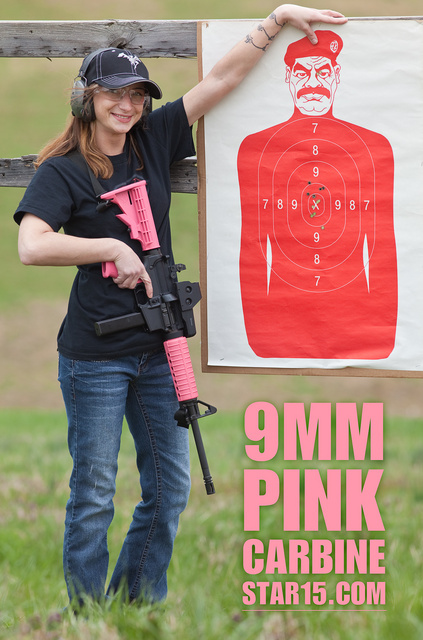 9mm AR is good for practicing at pistol-only firing ranges. This entry was posted in weapon and tagged 223, 9x19, AR15, bullpup, SAR21. Bookmark the permalink. Post ’86 dealer sample I assume? I’ve been fairly impressed with what I’ve seen of the SAR-21’s internals. I do wish someone would make a semi-auto one for sale. I’ve found that two of the four indoor ranges available in Portland (both are private clubs) ban the use of pistol-caliber carbines. One of the other two (I’ve never shot at the fourth one), a Public range (“The Place to Shoot” requires you to buy “their” ammo and leave “their” brass behind (did several years ago, I haven’t been back since they instituted that policy). How come this sort of “gun control” doesn’t get discussed? The SAR21 appears to be an interesting concept a cross between the British bullpup design & the Israeli Tavor carbine.